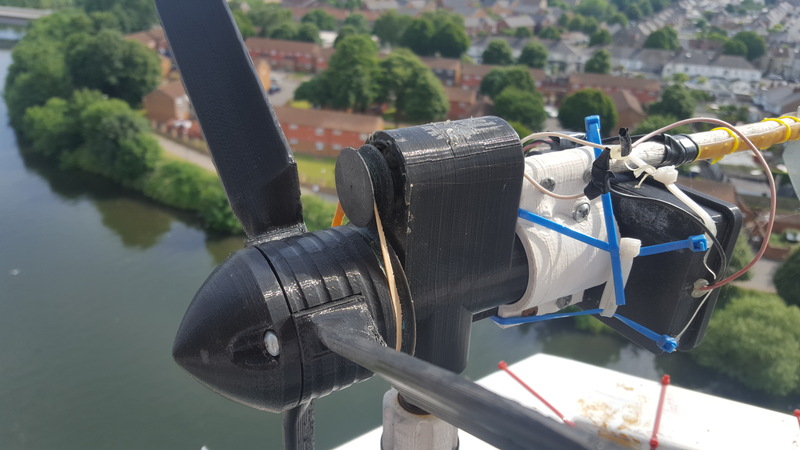 Originally designed as a challenge between friends, the wind turbine has been through many iterations to become a working prototype, though it will no doubt continue to be developed indefinitely. 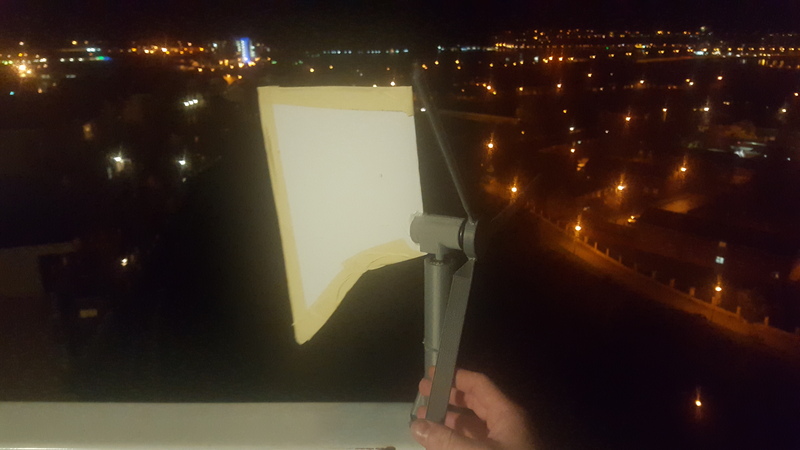 What began as a discussion with a friend who was studying on a Masters of engineering course, the wind turbine was my attempt at creating a fully 3d printed ornament which would catch wind on my balcony, whilst attempting to replicate some of the engineering and design principles associated with wind turbine blade design. 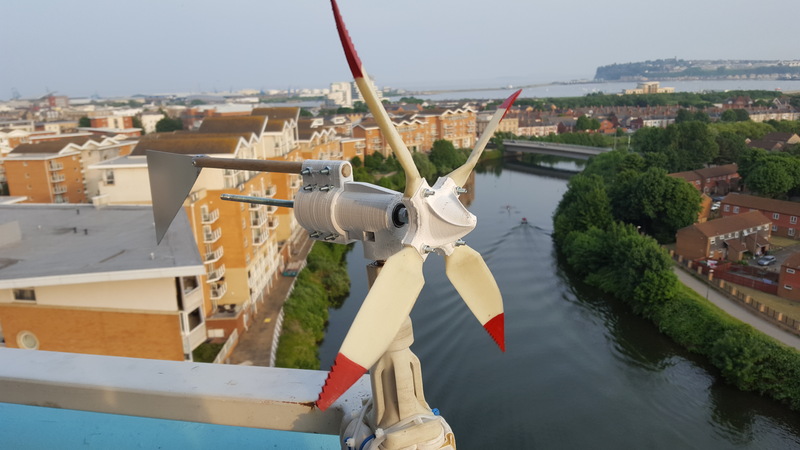 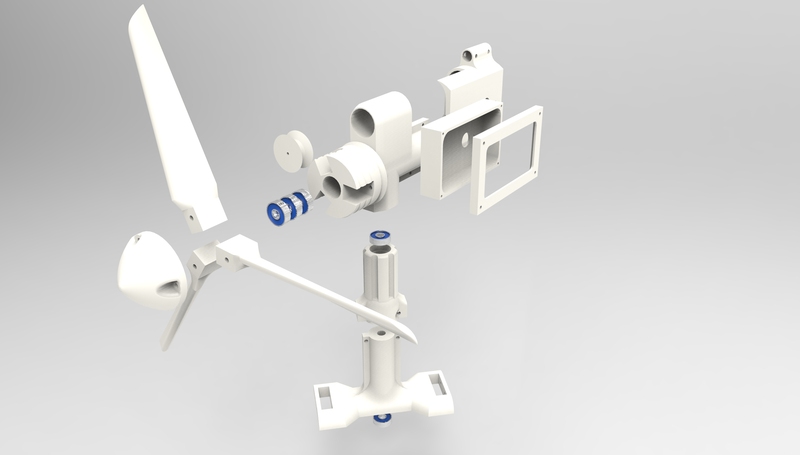 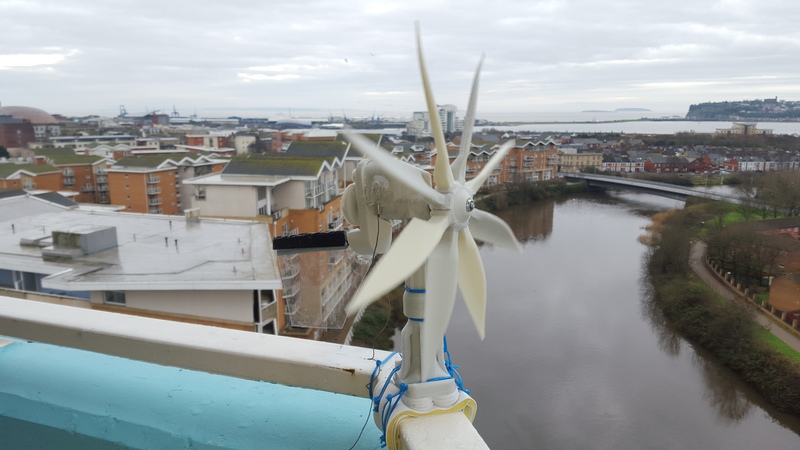 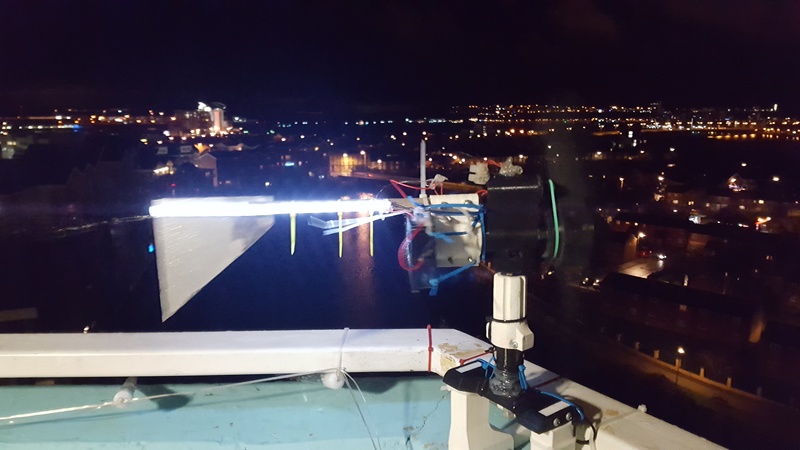 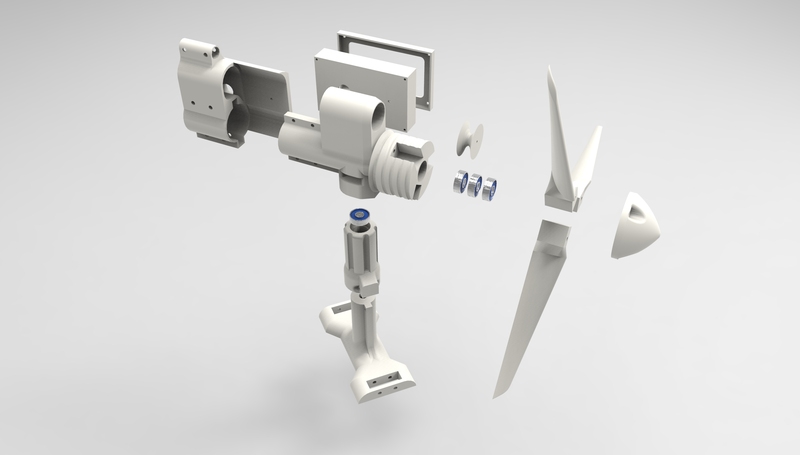 The current wind turbine utilises a pulley driven generator, to provide power to a voltage regulator, which in turn provides a steady 12 volts with varying current to rear mounted 3528 SMD LEDs.